“I’m Wolverine. I’m the best at what I do, but what I do isn’t very nice”. Ok, so that quote isn’t in The Wolverine, but it has always been true. This movie is no exception. The Wolverine provides plenty of high energy action as well as some nice quiet moments which are used to explore the thoughts going on inside Logan’s head. All said and done this was a fun summer action movie, but while certainly better than X-Men Origins: Wolverine there was still some room for improvement. Prior to seeing the film on Friday night, I had intentionally avoided reading or watching almost anything about the film as much as possible. While parts of X-Men Origins: Wolverine were good, overall I was not impressed and I wanted to come into this film with as clean a slate as I could. This meant that until about fifteen minutes into the movie I wasn’t quite sure where in the X-Men film timeline this film took place. This is not necessarily a bad thing, but I had assumed it would be a direct sequel to the first Wolverine movie. Instead it takes place sometime after the events of X-Men: The Last Stand. After an opening flashback sequence, we find Logan living on the fringes of society, sleeping in the woods, haunted by nightmares of things he’s done. A quick few scenes occur in Wolverine’s native Canada and then viewers are off to Japan, where the real story begins. This story taps into material from the Frank Miller Wolverine mini-series as well as the first story arc of the Wolverine on-going series that followed. The first thing I’d like to mention is that they fixed the biggest problem I had with the last movie: the CGI claws. For whatever reason, in several scenes of the previous Wolverine movie, the CGI claws look incredibly low budget and just plain bad. That was not the case this time around. I don’t know if it was due to better CGI or the possible increased use of physical claws, but it did the trick. I had no issue with the plot. I have only a passing knowledge of this particular portion of Wolverine comics, so the movie seemed to line up well enough with what I already knew. Hugh Jackman’s portrayal of Wolverine is still fantastic. He has a great understanding of the character and it appears that he truly enjoys putting on the claws and sideburns to become Wolverine. I think it’s a pretty good fit. 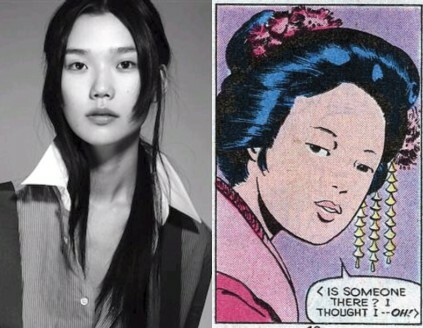 Playing Wolverine’s love interest, Mariko, was new comer Tao Okamoto. I liked her performance, but it did seem as though she is new to film acting. With a bit more time and experience I think she could do some interesting things. Fellow model-turned-actress Rila Fukushima served as a sidekick of sorts to Wolverine and served well enough in the role, though her English was a bit choppy and that wore on me after a while. Several of the other cast members looked familiar to me, but I couldn’t place them and had to look them up on IMDB. Mariko’s father, Shingen, was played by Hiroyuki Sanada, who I knew as Kaneda in Sunshine, and Yashida, played by Hal Yamanouchi, had a small role in 2004’s The Life Aquatic with Steve Zissou. The phrase “big superhero movie” implies several things, chief among which is action. 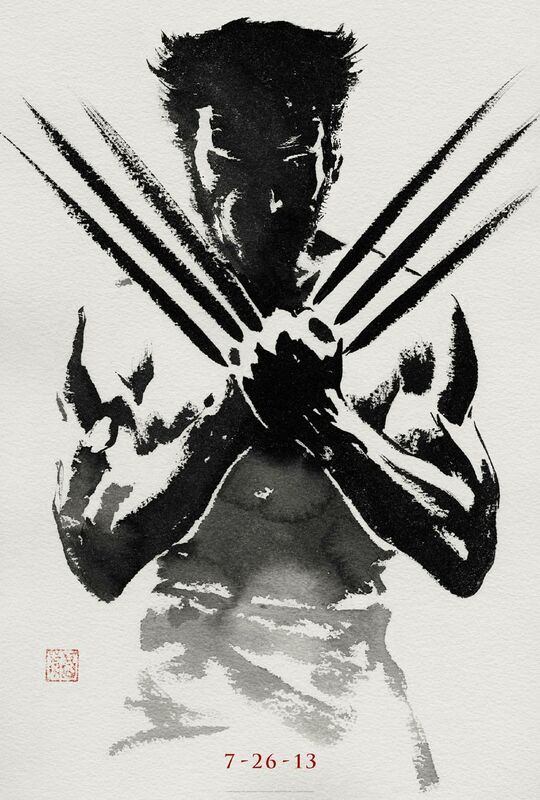 The Wolverine delivers on the action pretty consistently though the movie. All actions movies have their peaks and valleys, but this one seemed to have many more of both. Shorter, more frequent periods of calm were punctuated by action sequences of varying length. Since the movie was rated PG-13, the amount of violence that could be shown was minimal, but it was still obvious that Wolverine is still the best at what he does—slashing and stabbing people. Unfortunately, the action scenes lead me into what I didn’t like about the movie. I cannot stand shaky camera work, and many of the action sequences were shot using this terrible technique. I understand that the idea is to try and convey a sense of movement and the chaos of a fight, but instead it just causes viewers confusion and really bad visuals. Some of these scenes would look so much better they didn’t feel like a Parkinson’s patient was holding the camera. On a positive note, the panoramic scenery shots were wonderful. They really make me want to visit Australia, where the film was shot. My other biggest complaint has to do with the considerable amount of prior knowledge necessary to really enjoy most of this film. At various points in the movie, Logan dreams about Jean Grey. Although I have always loved her character, her inclusion without any explanation made for some confusion. I also felt that Jean’s presence in this movie was unnecessary. It’s not that I didn’t like the actress who played her or how they used her; I just think the movie would have been perfectly fine without her in it. I would also like to point out that there were far too many secondary villains. There were 5 different characters that I would classify as secondary villains, in addition to the final bad guy, the Silver Samurai. The only saving grace in this is that unlike Iron Man 2, which suffered from too many villains with separate plots running at the same time, all of Wolverine’s foes tied into a single interwoven plot. Also, the use of Viper as a secondary villain confused even me. I have a fair amount of Marvel Comics knowledge and I had to look her up when I got home. I’m sure there was another more prominent villain that they could have used. I’m also unsure of her previous connections to Wolverine in the comic universe. In both the comic and the movie universes Wolverine is a major fan favorite, and yet for some reason, these movies keep falling short of achieving their full potential. I have heard nothing about a potential sequel, and this weekend’s box office take makes me doubt the likelihood a bit, but the increase in quality makes me believe that a third movie could really be something special. While I liked the movie, I wasn’t wowed by it and there were some considerable flaws that detracted from the overall enjoyment of the movie. Moreover, the amount of background knowledge needed makes this a difficult jumping on point for new movie goers. I give The Wolverine 3 out of 5 Death Stars.